1. Convention : اجتماع : (noun) a large formal assembly. Group Meeting, Meeting - a formally arranged gathering. 2. Convention, Formula, Normal, Pattern, Rule : طریقہ - روایت : (noun) something regarded as a normative example. 3. Convention : معاہدہ : (noun) (diplomacy) an international agreement. Accord, Pact, Treaty - a written agreement between two states or sovereigns. 4. Convention, Conventionalism, Conventionality : روایت پرستی : (noun) orthodoxy as a consequence of being conventional. Orthodoxy - the quality of being orthodox (especially in religion). A Commentary on the United Nations Convention on the Rights of the Child. The Genocide Convention: An International Law Analysis. Conventions: an American InstitutionHandbook of the Normal Distribution, Second Edition. Assembly, Fabrication : جوڑنے کا عمل : the act of constructing something (as a piece of machinery). 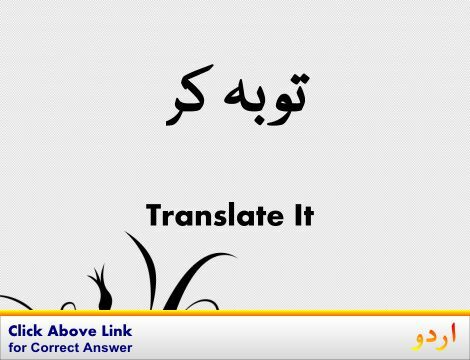 Example, Exercise : مشق کرنا : a task performed or problem solved in order to develop skill or understanding. "You must work the examples at the end of each chapter in the textbook"
Conventional : روایتی : following accepted customs and proprieties. Convene : اجلاس بلانا : call together. How this page explains Convention ? It helps you understand the word Convention with comprehensive detail, no other web page in our knowledge can explain Convention better than this page. 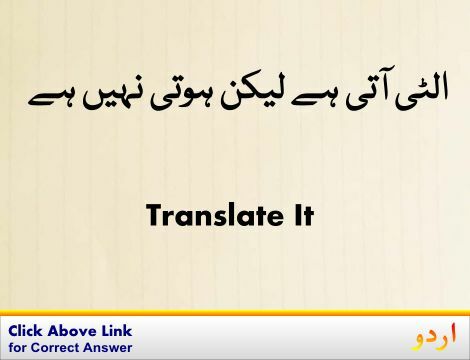 The page not only provides Urdu meaning of Convention but also gives extensive definition in English language. The definition of Convention is followed by practically usable example sentences which allow you to construct you own sentences based on it. You can also find multiple synonyms or similar words on the right of Convention. All of this may seem less if you are unable to learn exact pronunciation of Convention, so we have embedded mp3 recording of native Englishman, simply click on speaker icon and listen how English speaking people pronounce Convention. We hope this page has helped you understand Convention in detail, if you find any mistake on this page, please keep in mind that no human being can be perfect.